Pip has recently wriiten a tutor book for the G/D Anglo concertina as his major project on the folk and traditional music degree in Newcastle Upon Tyne. The book comes with an accompanying CD, with Pip on concertina and Dogan Mehmet on Bouzouki and guitar. 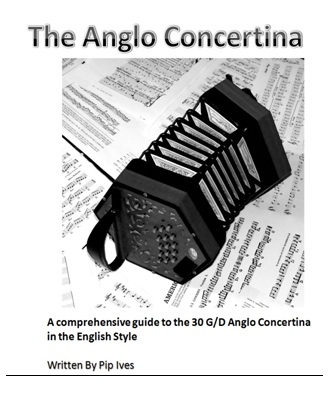 There is a lack of tutor books for the G/D anglo concertina, but it is a popular system in the folk scene of England. The book and CD are now available for £7.50 including postage.